The Obama Media works overtime to fulfill their insistent fantasy that the Boston Jihad attackers were White Conservative Christians. As if we needed any more proof that mainstream media’s religion, focus and worship is rooted in the MarxoFascist Obama agenda, the disgusting spectacle of the corrupted mainstream press corps in the aftermath of the Boston Marathon Jihad attack, reached depths of depravity and propaganda not even I thought possible. In keeping with the narrative set as policy in the Obama regime, Islamist Jihadists are not considered a threat or risk to the country – while the real danger the government focuses on and preaches against is White, Conservative Christian patriotism. This meme of blaming TEA Party White Conservatives happens every single time a mass casualty event has occurred since Obama’s crowning as our first emperor. 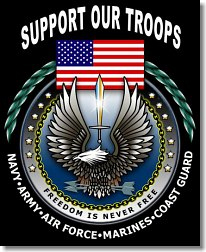 And no wonder, since April of 2009, the official policy of Obama and his regime is to classify and redirect the entire government and military structure of the United States to consider it’s own citizens who are beholden to God, the bible and the Constitution, as the greatest threat to public security and safety. While Obama works tirelessly to restrict and rescind our God-ordained Rights, his government works just as tirelessly to aid, comfort and fund Islamists and their Muslim Brotherhood agenda to establish a global Islamic Caliphate that will place the world under Sharia Law. I find as evidence the fact Obama decided there was no money for Air Traffic Controllers and had them furloughed as part of his ‘sequester’ of so-called budget restrictions in the wake of a Congressional refusal to fund the rate of increase projection in 2013’s budget – but Obama finds MILLIONS of dollars to gift to Islamists and their Jihadists in Syria and Somalia. This is followed by a litany of Media efforts to push the liberal/Islamist alliance viewpoint as the only viable and acceptable view in the wake of the jihad attack. What’s more worrying, to me at least, is the bubbling up of domestic, right-wing terrorist groups and individuals who might commit atrocities out of sheer hatred of government and racial bigotry. Daniel Greenfield points out the Obama media absurdity of their effort to actually ‘pray’ for the hope that the Jihad attack was the work of White Americans, while the entire event showcases the unrelenting efforts of the Obama regime and it’s propaganda machine, the media to continue to demonize White American Christian Conservative Patriots as ‘hate’ ‘extremists’ and probable domestic terrorists. Remember this truth – when any government demonizes a segment of their people it hates, it is not long before they end up criminalizing and eradicating that segment of people from society. In this case, efforts are being made to whitewash Jihadist Islam having a role while continuing to warn of the threat White Conservatives pose. The reactions to the Boston Marathon Massacre were predictable. Alex Jones was going to cry false flag and the media was going to blather about right wing extremism. Now a suspect, or another suspect, has reportedly been arrested. But before anything happened, the left was hoping he was white. Would his whiteness do anything to change the horror? Would it bring back the lives of the three people murdered, including a little boy? No, but it would apportion blame in the way that the left thinks is ideologically correct. The loony David Sirota, who has become the go-to guy for bizarre quotes on race and violence, usually finding some backward way of blaming white people for everything, was open about his priorities. “Let’s hope the Boston Marathon bomber is a white American,” Sirota wrote at Salon. Not, let’s hope he’s caught. Or let’s hope he doesn’t strike again. Let’s hope he’s a white man. That’s not just racism. It’s completely amoral racism. Sirota looks at terrorism not through the lens of actual existing terrorist organizations, but race. One of the problems with Marxists is that they’re clever idiots. Sirota’s screed is a reminder why. Rather than examining the broader picture of events, they view them through the lens of a single category. Class, race or gender determines everything. Are they portrayed as such or are they actually members of larger conspiracies? That’s the basic factual question. But we’re not in the realm of facts here. Sirota isn’t interested in discussing actual real world facts. His facile skill, the one most prized by today’s leftellectuals, is reducing all things to race. Sure Hasan corresponded with Anwar Al-Awlaki, the Al Qaeda mastermind who found his way to half-white dude, Obama’s kill list. But that’s just more white privilege talking. Asserting white privilege frees us from having to consider any facts. It preemptively delegitimizes all facts and reduces all dialogues to a catalog of grievances. Even debate becomes a crime. After September 11, and I do mean right after, lefties hung up signs against the War in Afghanistan, that had not even started yet, arguing that we didn’t bomb any of the places McVeigh lived after Oklahoma City. Sirota brings up a variation of the same tired argument that misses the point. If McVeigh had been part of an international Neo-Nazi group with thousands of fighters and millions of supporters operating in an area outside the United States, we would have bombed it. He wasn’t. Neither was Adam Lanza or the Columbine shooters. The 9/11 hijackers were. Those are facts, which are a notorious form of white privilege. Muslim terrorism is a collection of organized international movements with a deep base of support from outside the country. It’s an invasive force. It’s also far more lethal. That holds true regardless of who carried out the Boston Marathon Massacre. The list of bombing plots averted by the authorities in the last 15 years are ample testimony to that. But while most people care about stopping the violence, lefties like Sirota would like us to racially classify the violence. The reason it’s unlikely a tea-party, patriot or right-wing group perpetrated the Boston Marathon bombing is because the victims weren’t “black people or Jewish people or gay people or Muslims,” claimed a senior fellow of the Southern Poverty Law Center earlier this week. The SPLC – a left-wing, nonprofit organization that describes itself as dedicated to fighting “bigotry” and monitoring domestic “hate groups” – keeps an eagle eye on tea-party, patriot, Christian, gun-rights and right-wing organizations, often insisting their fires are fueled by racism and hatred, rather than politics or policy. SPLC Senior Fellow Mark Potok continued the narrative in an interview on CNN’s “Piers Morgan Live” earlier this week, when the host asked Potok if the Boston bomber was more likely to be a lone wolf or part of an existing group. The SPLC paints its listing of official “hate groups” with a broad brush, often lumping in politically or socially conservative organizations with white supremacists and neo-Nazis. 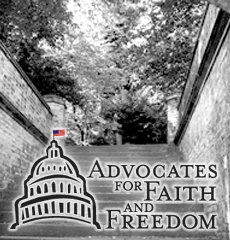 For example, the SPLC lists among it’s official “hate groups” the Family Research Council, the American Family Association, the Federation for American Immigration Reform and the Traditional Values Coalition. The SPLC further sounds warnings over tea-party and “patriot groups” who oppose a growing federal government or gun-control legislation, often linking libertarian or conservative political positions to racist “hate” activity. 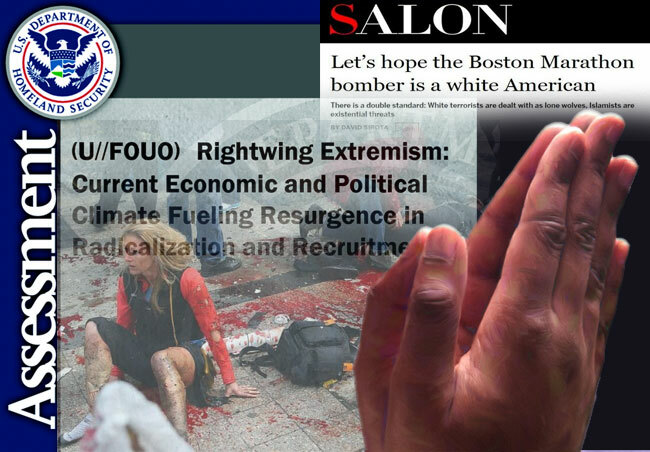 In a recent edition of the SPLC’s “Hatewatch” blog, for example, the Tea Party Nation was among various “extremists” blasted for blaming the Boston bombing on jihadi terror. Yet the SPLC insists the real reason for the rise in patriot groups in recent years has little to do with militant Islam or President Obama’s policies – insisting instead, it’s mostly about race. Cohen added that after the Newtown massacre, in which Adam Lanza gunned down 20 first-graders and six educators, the addition of gun-rights advocates into the mix only makes the potential for domestic terrorism more volatile. The SPLC, in fact, wrote a letter to Attorney General Eric Holder and Secretary of Homeland Security Janet Napolitano in March advising them of the growing threat of “patriot” groups. Cohen is scheduled to speak before the Salisbury Forum on April 19 at The Hotchkiss School in Salisbury, Conn., on the history of hate groups in the U.S. and what can be done about them. The template is already formed. The narrative, already written. The Leftists in their push for global dominion, have a script – ready to yank out and slap on any and every heinous act of murder, massacre and sabotage. The mainstream Leftist state-run propaganda media and the governments they support (especially the Obama regime) stand ready and eager to slap the title of terrorist, domestic terrorist, international terrorist on the targets they truly fear and hate: Christian Conservatives. Regardless if the real perps are Jihadists or Leftist nutjob radicals, the Leftists are desperate to hope that the works of terror are really by the hands of bible-toting patriots, and if that does not end up being the actual case, they will BLAME and PIN terrorism on Christian Conservatives anyway. When the Jihadist terror attack by Nidal Hassan at Fort Hood in 2009 took place, I recall media speculation in the immediacy of the breaking news, opining that the shootings were possibly the work of an anti-Obama ex-vet from Afghanistan. Some began to account the growing ‘anger’ of Christian Conservatives over the TARP bailouts and the Stimulus bills as a potential ‘motive’ in the as-yet captured Hassan. Even after Hassan was captured and reports were surfacing that Nidal Hassanb was shouting “Allu Ackbar!” while opening fire – Obama’s regime, including Wesley Clark and His Heinous himself took to the airwaves to demand the American people “be cautious” and “not jump to conclusions”. The media was so in-the-tank to deflect the truth about the Fort Hood Massacre as being a Jihadist attack, CNN deliberately misquoted an eye witness to the shooting to cast doubt on his story that the attack was the work of an Islamist. A year later, when an insane Jared Laughner went on a massacre spree in Tucson AZ and shot Congresswoman Gabrielle Giffords, within MOMENTS of the attack – the blame Christian/Conservative/Talk Radio template was presented and shouted from the media rooftops followed by Leftist politicians spewing the same insidious demonization. State Senator Linda Lopez (D-AZ) asserted on Fox News that ”the shooter is likely, from what I’ve heard, an Afghan vet..” The demonization continued as Democrat politicans insisted that everyone from Sarah Palin to Rush Limbaugh were responsible for “creating the atmosphere” that inspired Laughner to kill. Then it was officially learned that Laughner if anything, was inspired by radical Leftist propaganda – and the media went dead silent because that truth does not fit the narrative template they want to pin upon Christian Conservatives. The template narrative is not limited to US politics either. The radical Islamic threat benefits from an insane form of political correctness that these same Leftists toss out to give violent Jihad attacks cover or massaged to deflect real blame as we saw in the Nidal Hassan case. As is often the case, when Islamic terror is discussed, it is almost immediately buttressed by insistence that the Christian Right is just as dangerous if not moreso. That the Left is allied with Radical Islam is no secret – it’s an unholy alliance that they both mutually share together for the purpose of defeating a common enemy: Conservative Christians. 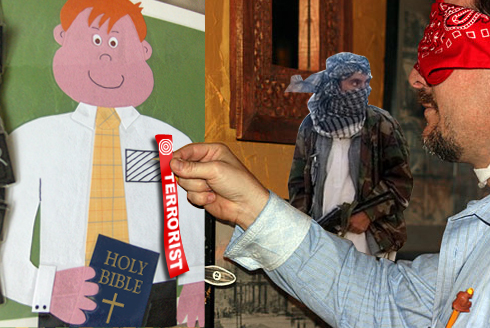 That is why they both mutually play the game of Pin The Terrorist On The Christian Conservative. Such a template exists for ultimately only one purpose: the demonization necessary to criminalize and enact actions against Conservative Christians, and to silence any opposition to the narrative. One benefit already manifest by using such templates and labels is for a majority of Christians or Conservatives to denounce their own, and rush to embrace those who hate them to showcase they are not as the media portray. Which brings us to the recent massacre in Norway. First, a massive bomb went off outside the Norwegian Prime Minister’s office around 3:30 PM local time, reports are speculating that the explosives used were ammonium nitrate, similar to what was used in the Oklahoma City Bombing. Then, two hours later – a gunman dressed up as a policeman began shooting up teens at a youth camp on a small island. Rescue officials took an hour and a half to respond to the Island attack which ended up claiming 87 lives. The gunman caught was 32 year old Anders Behring Breivik, who it was learned also purchased 6 tons of fertilizer compound back in May. In the original moments after the bombing and on reports of a shooting at the island youth retreat – speculation turned to Jihadists, as Mullah Krekar, founder of the Kurdish Islamist group Ansar al-Islam, had terrorism charges filed against him last Tuesday, accused of threatening the life of a former Norwegian minister, reported Al Arabiya. Shortly after the bombing, Krekar’s Islamist group took responsibility for the attack, but then, retracted the claim. The speculation of Islamists turned out to be different with the capture of Brievik. But one speculation that suddenly arose, is that the template and narrative was brought out – being that Brievik was a “Conservative Christian” who waged the terrorism, not the Islamist group that initially took credit for the bombing in Oslo. It’s a curious notion in a largely secular and Socialist nation like Norway for both Christian and Conservative to be used as the motive and label for the shooter. Less than 3% of Norwegians are Christian and go to church, and the term of “Conservative” does not exist in Norway in the manner in which it is being used now to describe the arrested suspect. But the media and especially the State run propaganda Mills in the US – is full tilt with the the Pin The Tail Template that a Right Wing Conservative Christian who hated Muslims carried out the attack. But simple curiosity gets stranger when one looks into it. In this day and age nearly everyone has a Facebook page. And of course, Anders Behring Breivik had a Facebook page of his own. Pamela Gellar of Atlas Shrugs noted an interesting peculiarity : someone or some entity CHANGED Anders Behring Breivik’s Facebook page from what it was shortly after his name was released. So WHO or what ALTERED the Facebook Page so it could convey that Anders Behring Breivik was a “Conservative Christian” in the American sense?? Was the screen cap page real, or a fake like the second one? Why is the second page in English and the original in Norwegian, the same nationality as the gunman? it is also noted that Breivik’s Facebook page was changed AFTER he was taken into custody but before Facebook took his page down. So when did he have time or access to change his Facebook Page? Anyone want to bet that NerObama’s DHS was happy to do that deed so their template of Right Wing Conservatives being terrorists can be realized and the game of Pin The Tail of Terrorism on Conservative Christians can stick?? ?